We are currently fundraising to buy training sails for all our 18 Optimist sailboats ($2,000). 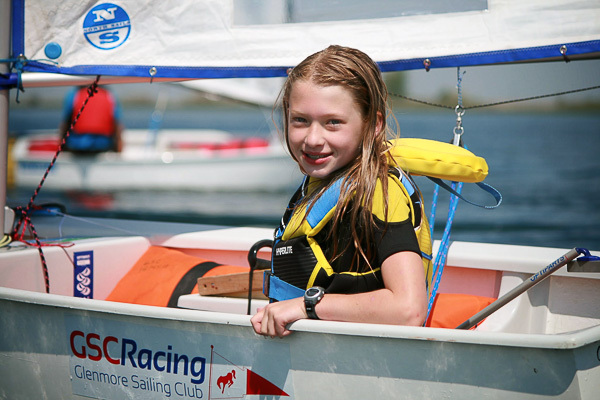 Your donation for youth sailing programs will receive a charitable donation tax receipt. Our charitable donations are generously managed by Parks Foundation Calgary. You can donate online through their website. It's great to have their support. When you make a donation, choose "Glenmore Sailing Club" for the "Fund" field (first field on the donation form). We will receive 100% of your donation. Your charitable donation tax receipt will come from Parks Foundation Calgary. Thank you for helping provide wider community access to sailing.